BRTC Respiratory Care students and instructors attended the Arkansas Society for Respiratory Care annual state meeting in Hot Springs. BRTC Respiratory Care director Jason Linam and instructor Jessica Alphin both served as moderators for educational sessions. Alphin also chaired two of the activities at the meeting, the 5th annual Cystic Fibrosis Walk and the State Sputum Bowl Competition. Over 100 individuals participated in the Cystic Fibrosis Walk, raising over $600 for the Cystic Fibrosis Foundation. 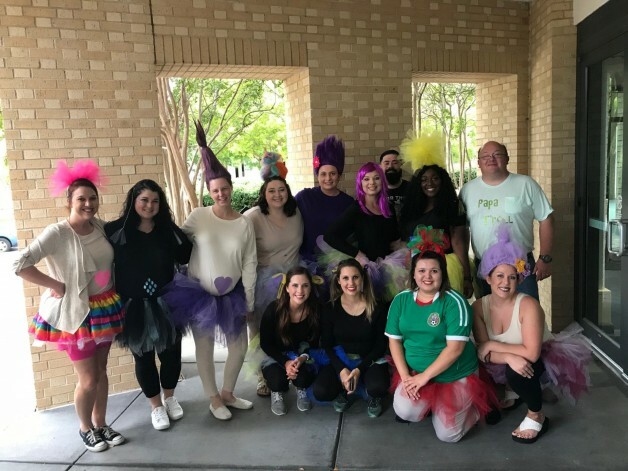 Several respiratory programs across the state, including BRTC’s Respiratory Care students and instructors, also participated in a costume contest. The BRTC team who dressed up like trolls, brought home the biggest team participation award.